Last week, the Dallas Cowboys traded a first-round pick for wide receiver Amari Cooper, which pretty signaled that Jerry Jones believed the tea was just a star WR away from accomplishing what they wanted. Despite Cooper’s early touchdown in the game against the Tennessee Titans, the Cowboys went on to drop that Monday Night game and fall to 3-5 on the season with a tough schedule coming up. You want to know how bad it is in Dallas right now? Troy Aikman has seen enough and wants the franchise to start completely over – from top to bottom. 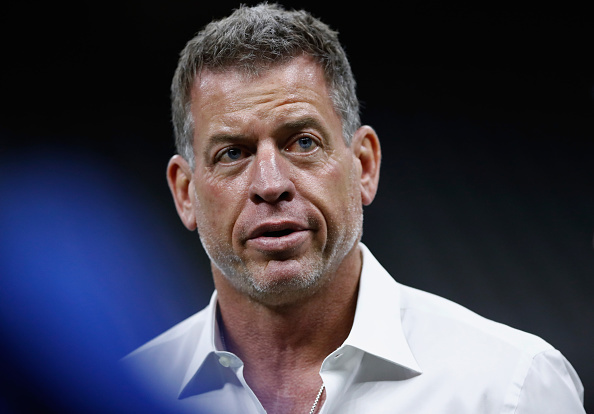 Aikman joined The Musers on 1310 The Ticket on Tuesday and called for the franchise to make changes. He said that there was a lot of “dysfunction” throughout the organization. Troy Aikman tells The Musers the Cowboys have a myriad of problems: "Changing the coach is one thing, but you have to look at how things are run out there (The Star). I talk to people in the building and from what I hear is that there's a lot of dysfunction." “Go through the list and this team, over a long period of time, has been what it’s been,” Aikman said. “It hasn’t always mattered who the head coach has been. So to me, if you’re asking me, I’d say there has to be a complete overhaul of the entire organization. You can’t just can’t simply replace head coaches and say, ‘Now it’s going to be better.’ No, it’s been shown that it’s not better. And you have to address how everything is being done.